Materials submitted to the Commons Justice Committee this week indicate Jody Wilson-Raybould recorded at least one of the contentious conversations at the heart of the SNC-Lavalin affair, multiple sources tell CBC News. Prime Minister Justin Trudeau has said Wilson-Raybould’s exit from cabinet was a result of a “erosion of trust” between Wilson-Raybould and the Prime Minister’s Office. The existence of a recording suggests that trust may have broken down well before she left cabinet on Feb. 12. The audio recording, or a transcript of it, is expected to be part of a new submission to the committee from Wilson-Raybould to be released later today. That submission also includes a written statement, emails and text messages. 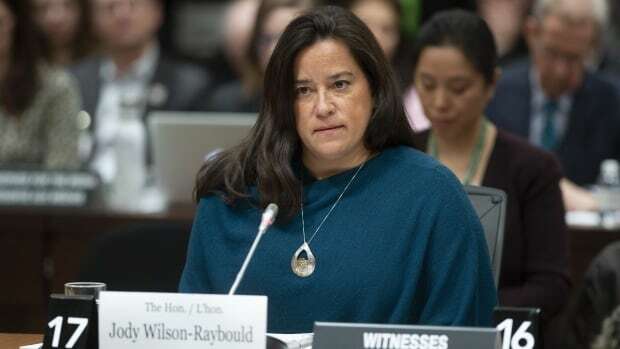 CBC News asked Wilson-Raybould if she intended to submit an audio recording to the committee. “I have no comment,” she replied by email. It is not clear which conversation or conversations were recorded. During her four-hour testimony before the committee on Feb. 27, Wilson-Raybould provided direct quotes from many of her conversations with various officials. When Privy Council Clerk Michael Wernick testified before the committee for the second time, on March 6, he said he did not have “independent recollection” of what he said during a Dec. 19 conversation with Wilson-Raybould. “I did not record the conversation. I did not wear a wire. I did not take notes and that is not my recollection of how the conversation flowed,” he testified. As attorney-general, Wilson-Raybould was the government’s lawyer and was covered by solicitor-client privilege. It would be unusual for a solicitor to knowingly record conversations with a client without informing them first. Trudeau’s waiver from cabinet confidence and solicitor-client privilege allows Wilson-Raybould to speak freely about events up to her departure as justice minister and attorney general. It does not cover the period when she remained in cabinet after being moved to Veterans Affairs.